Write here questions, comments, recommendations and new ideas. To write just the name or a nickname like “I” or “Pippo”, leaving the other boxes blank. Also add the “Email” only serves to distinguish with certainty. If you want to add the mail do it with confidence, We have better things to do, We collect addresses for spam. The Blog is not all on this page, you go to the menu “Blog” and choose a topic. If you cannot find the appropriate blog section, enter on this page and we'll, find the right section, or create a new one. Feel free to make mistakes and experiments in posts. If something goes wrong, just write a second post, with corrections to do. We will do corrections, and finally we will cancel service messages. Using Theremino Slot Viewer I made experimenting with Emotion Meter, and I made some small but important changes to the program, that is still a beta version. I sent a copy to Livio, Why need of his experience and skills to make some tweaks. Just plug and play (of course consistent with its commitments) will post the updated version. As already written, as soon as I have time I will do further tests, using the sensors for the can. Maurizio, Thanks for the excellent improvements. Fix the two parts that you left to finish and publish it today. I managed to get it to work, I had done a bit of confusion between slots and pin it all OK apart from l’ swing is not much. Do you mean that you publish your new model? Fantastic. I wanted to ask you something, the Clipboard is talk of using two cans of tomatoes as electrodes but can also be used two small plates or form must be right tin snips? I wish I could depart a little from the original model, What do you say? Try it and if the gain is not enough yet I'll get up tomorrow. The cans are cylindrical to make good contact, with the mattress surface of skin. Years ago I made many tests with different types of electrodes, and the best were found to be cans of flux for electronics, tinned iron externally, with a diameter of about 4,5 cm, which unfortunately are no longer available anywhere. For reasons unknown to me, but I'm guessing they may have to do with some type of electrolyte phenomenon triggered by sweat, the material constituting the electrodes greatly affects the quality of the measurement. My advice is to start with the electrodes as far as possible the same as originals, and only after, When you see the instrument work properly, experimenting with other methods. From personal experience, do not recommend the use of stainless steel, copper and brass. The best electrodes available today (by searching the internet) are made of plastic coated in silver, but they are expensive. I have not tested. I think you could build in house efficient electrodes using plastic pipes for plumbing covered with aluminum foil, I plan whenever possible to try, but my free time has very little. Afterwards I intend to write a guide to attach to the program, where will exhibit my personal experiences. The skin inside of the hands has some peculiarities that make it different from that of other parts of the body, and the ability to change, Although unconsciously, the strength with which you wield the electrodes, definitely join the extent. I have to say, though, in my experiments I noted several times that the resistance variation went far beyond the possibility offered by the exchange of force. One way to make a first calibration of the instrument is to ask the subject to hold the electrodes without tightening them, allow approximately half a minute talking to him because the electrodes to become warm, and then ask him to tighten. When li tightens, You should adjust the gain to get the second hand to full scale right, but without going over. Then, When he returns to challenging them normally, If you need to return to zero. I happened several times, placing the subject questions that encouraged, the pointer end up banging very loudly at full scale. This huge variation could not be produced solely by increasing strength while you are challenging. Excuse me if I break yet but you could add a button to register so that we can cover the work done with the E-meter? You would too. The thereminico principle is to use simple applications that work, so to record the video, you'll need to use an application. OK thanks Monday, taking the job. Try it and let us know how you work. And’ the first time I write on these pages, and I have to congratulate your work, for me that I'm not a professional in the field gives me the opportunity to try out a new world. I would bring my application , by HAL ( master via USB) at NetHal (with netmodule), the problem is that in NetHal the pins are not configurable as “Exit for Stepper Motors”. And’ a limitation of the hardware, or is it a possible implementation, Maybe you expected in the future ? And’ a limitation of the hardware, I'm sorry. What type of application it is? Application: Control of an internal combustion engine used for irrigation, located in remote area. Application being completed. I monitor the engine through sensors (temperature, RPM, oil pressure, plant watering system, ECT) . The stepper will use to control the acceleration. The application should take action in case of malfunction by shutting down the engine, or off. Connect remotely to control PC (team viewer) to view the various parameters, or verifying how the application can send periodic messages with data (Maybe with Skype). The idea of using the netModule was to avoid leaving your PC on the Middle, but it is far more sheltered area. Are not practical programming, the only English-I know discreetly is Vba, and for now I write so, then I know a tiny bit of VB6, so maybe then I'll see if I take him to VBexpress. The idea was to use the Raspy, but as far as to say that Python is simple don't have time to learn a new language, and the raspy remained in the drawer. Instead of stepper you could use a servant. There are also very powerful, with a couple who can't stop them with fingers. Dozens of times a pair of stepper. So there is no need to demoltiplicarli. Precise angular position servo also guarantee a and not risk losing steps as it might be to stepper. Are also easier to feed and do everything alone no drivers required. Finally are cheap and the Net Module ne pilots up to eight. I get a good servant and do the tests. I can prove it only Monday, but in the meantime I thank you and I congratulate you for the simple instructions and targeted. For the buttons and the external potentiometer are very interested and will definitely try to implement your advice. Thanks again. There are long, narrow cans of pet food (height 88 mm and diameter 52 mm). Are made of Tin (tinned iron), so do not rust and are very similar to the original ones. I can't remember the brand because I deleted the labels, But if you go to a store to find cat foods. Thanks tomorrow I go to retrieve the cans. But for connecting the I need to weld the wire which then attacks to pin or are fine also the crocodile clips? If I make the cans with the foil I know it can be welded, I already tried. But with the other , What would be best? If you find cans of cat food Tin (tinned iron) meld easily. We published four lines that explain how to use speech. This way you can test yourself, without moving your hands to reset and change the gain. Just read thank you again is a great idea because at least until I have some practice will be difficult to find someone interested in these “experiments” or maybe not ; We'll see. For me if it works it has a great potential. My advice is to start as an operator, with electrodes connected to someone else. Obviously, You can do the first tests on you, but it is not easy to induce emotional States needed, It is easier to induce them into someone else. Try to do tests on two or three different subjects, because with some people it is more difficult. A document with some information on the use of the instrument is in progress, We'll publish it as soon as possible. Regarding pin settings, I confess that I haven't found time to do some tests with this new version of the program, It will take some. Since you're already doing these tests, Please bring everything you see and learn about the operation. Meanwhile, We are collecting ideas for improvements. Let us know your impressions, will help us. Hi I have lost a bit of time with cans because I already made a review, In addition to remove the upstairsand the below I did remove a strip of about one centimeter in length and a half or two to minimize the problem of pressure with your hands but it is a’ idea so throwaway. Definitely poor in other ways yet. I tried to install the voice but I have problems To l’ E-meter the best configuration so far is this Gain 100 Output-1 Setzero-1 Gain-1 is not a repeat, There are two Gain. The Pin is set so Res-8 Val Max 100 Val Min 0 Response speed 30 Into the details of the Pin the vertical scale is on 0,1. With these parameters on rye was between 4 and the 7. Then I downloaded Signalscope to record the signal from the Pin but I have yet to figure out how it works. The first tests I had some good results but I have to organize both the Master securing somewhere both sensors. That's all for now. Meanwhile, I continue with the evidence and try to engage someone because one side alone is extremely difficult to actually induce emotional States in General and the’ other check the signal. However l’ E-meter is done right, Thanks again. Livius is working on the new version, and I'll do some tests. Do you anticipate that you can use the tool with one hand. Put duct tape on the bottom edge of a can, then accoppiale down against the bottom, joining them with electrical tape, so they are isolated from each other but attached to the bottom. Impugnale with one hand, holding the joint tape inside the Palm. Because of the lower contact surface, you have to double the value of gain. To link the cans to the master, We are using a 22 Kohm between 3, 3V and pin 1, cans from pin 1 and GND. The pin is set in HAL as ADC16. Like this, I tried successfully to hold between the fingers the crocodiles that link to cans, and despite the minimal surface, You can still reset the unit, but we don't know how sensitive. Soon we will publish a new version, with nice improvements. Soon there will be a new application. Input / Output / SetZero and Gain are slots which are used to communicate with other applications. The Slots “SetZero” and “Gain” you have to set them to 3 and 4 If you want to operate the voice commands. But in this case you won't be able to change the Gain from application. So if you don't use voice commands you should set the communication Slot -1, that means “Not used”. Thanks I try the components and I start to work. Regarding the gain, I suggest you start by setting it to 10 If you use the cans with two hands, and in 20 with one hand. Then does the proof by tightening the cans to see how much it deviates the needle, and adjust the gain for a detour to the right from the SET position until about half the industry FALL. Parts from these values, and then make them you need according to the work you do. There are two boxes gain, a gain setting, the other in section InOut Slots. In this last section imposed a number of slots for communication with other applications of Theremino. Alright thanks. There is a lot of information, I will take a while to try everything. However slowly. It's actually very simple, but at first having to study many things will stay a while’ confused. You'll see that in a few hours of testing everything becomes clear. Let us know how you are and what problems dating, We need to improve the next version. Hello, Sorry for the delay. I did a bit of testing with the new version, I soldered the capacitor and resistor. The signal is stable and very sensitive, If I move an arm or leg without shifting the cans, the second hand moves and is very sensitive to pressure. Obviously I have to do further testing because those are the things I'm interested in check. The cans are attached and use just one hand but seems to go OK too. But out of curiosity I seem to have noticed that the signal is only stable all’ in a certain range; I'm wrong? If I explained how do I send you a video if you are interested in. A’ else: both l’ And- meter original is the polygraph control skin resistance, l’ ADC Pin setting controls the tension: that's okay? Thanks for your patience. As I have already written, I saw (but I haven't done extensive testing) You can use this system even with smaller and less sensitive to pressure, for example, rings on fingers, as you do with the polygraph. In fact, the real difference between an e-meter and a polygraph lies in the type of electrode used. All these systems are sensitive to pressure, and I think the choice of the cans is intended precisely to exploit the inevitable and imperceptible changes in muscle tone. With the scheme suggested, the voltage on the electrodes that laws with the master is proportional to the resistance of the body connected. The resistor from 22k and skin resistance form a voltage divider. The tension that you get at the midpoint of the voltage divider is measured by Adc. Then with a mathematical formula the program calculates the resistance value unknown. So what we measure is exactly the value of skin resistance. The measuring accuracy is greater than what you can get with analog circuits and you do not even need to adjust calibration trimmer. In a second step the software starting from the skin resistance calculates the value of TA (Tone Arm) exactly like the original theta-meter. Only that the theta-meter to calculate they need someone to turn the potentiometer tone-arm up to balance the bridge, While the software calculates the TA instantly without a human to help him. The voltage goes from 0 to 3.3 volts and the Master transforms this voltage into a value ranging from 0 to 1000. This value from 0 to 1000 is the input of the first equation. Anyway don't worry formulas, you don't need, I wrote them just to give an idea of how it is done the calculation. The software does all the calculations needed and gives you strength and TA values directly. Also I have seen an emeter in action, even if the operator did demonstrations of the kind that you say. To be honest I wonder a little’ they can do, but I think depends on the workout. You say you've already seen it in action with the use of the lists, This is a good way to start. The next step is classic insist around those topics that they deflect the needle significantly, but at this point it becomes an exploration of the personal area of the subject, and approaching a little’ dangerously to psychotherapy..
Livio sorry , you won't believe this but I have an email. I didn't think you had already a new version of’ E-meter, Obviously I'd like to try it but if you do not want to publish it I get it. Thank goodness that the equations makes the software, I was already in crisis. Maurizio where did you see in action the E-meter ??? The lists are just fine using them even with the polygraph. A classic is to choose a number from one to ten then the operator lists them and l’ respondent always responds to no. Obviously, there should be a power surge upon chosen number. With regard to psychotherapy I know many psychologists use something akin to the lie detector and I agree, but I'm not having the skills I was interested in more’ practical aspect of this tool. It doesn't matter that you don't have the email, within a few days we will publish the new version. The next post go ahead without using “reply”, otherwise it is too tight. It took us a little’ more than a few days, I hope you have had the patience to wait, but it was worth it. Now there is everything & more. sorry in advance for question. Until a few days ago, first to change pc, I had a theremino cnc version with menus in Italian. Today, I can't find it. By downloading from the website the program has in meni in English. Someone can help me? Theremino CNC has always had the menus only in English. This is an application for specialists and the menus are easy to understand. If you go the HELP menu you can open files “Program HELP” and “G and M codes” also in Italian and this can help you understand the commands on the menus. It could also be that you remember the menus of HAL, which can be translated into Italian with the menu language. If I remember correctly, I had copied a file (or more files) in the Theremino folder, and I had the menu in Italian. Only the buttons at the bottom left (Start, stop, ECT….) IN ENGLISH. Theremino CNC has the language files and has not yet even in earlier versions. You probably remember something on another application thereminica or about HAL. Hello, I would need to operate a moped to over 3000 RPM (trying to vary the speed)and from your link I found this that arrives at 10.000 RPM https://www.pololu.com/product/2269 . Can you advise me to engines since I don't have practice with what kind of card to use in order to fly and to interface with theremino? – It looks like a brush motor then has a limited lifespan compared to brushless motors. – The unnecessary features of this engine make it quite expensive. I'll recommend buying a brushless motor (brushless), and use a form ESC to fly it (You can find both at any seller of parts for model airplanes). The motors driven either by an ESC can be directly interconnected (and adjustable speed), with an output of our Master module configured as Servant. There are also models from 20000 laps and over but you have to take into account that the brushless run in strictly only. To have best advice you should better describe what you want to achieve, for example why you need a motor for over 3000 RPM, and what are the other features you need. Thanks Livio! your answer I was greatly clarified the ideas now . I just have to find them, for turning over 3000 I'm okay with that then I can't say what I take for crazy….need for experiments with magnetic fields, Thanks again! In this video you can see a small brushless motor connected to a small ESC, that then is adjusted speed from an output configured as “Servo_16”. In the video there are also a form CapSensor and a Servo module but you're just the only Master module. If you don't need big power buys a small brushless, cost less, they don't need an ESCAPE from many amperes nor a PSU exaggerated. To choose a brushless motor you have to watch her KV (maximum speed than the volts of power) and then decide the supply voltage and also a suitable ESC (that keep the voltage of the power supply and the motor current you choose. I remind you that the brushless run in one direction only and that at low speeds don't work well (below a certain minimum speed stop). If you need to rotate in two directions and going at very slow speeds, then you should use all other systems (Motor continues, H-bridge controller and handling with output configured as Pwm_16. Possibly ask Warren thereminostore to send you a bi-directional speed controller). Hello Livio. I saw l’ And- meter 3 about three weeks ago because I was busy. You did an amazing job. Really there is a lot of material explained very well. With the previous version had already done several tests with good results, but with this version it is a definite’ else. Also recorded is the’ trend’ ago that rumors is extremely useful and also other options need a lot. I'm making lists to make new evidence and managed to involve two other people. To tell you the truth I'd be already thinking of using together the Mindwave Bridge but I think gia l’ E-meter me pretty busy. Thanks for the great job. If you have other tips are welcome, Thanks again. I am very interested to know the results of your tests, keep us updated. The idea of using the Mindwave Bridge together with the Emotion Meter is really tantalizing, but also very challenging, because the data obtainable from Mindwave are many, and unfortunately not easy to interpret. Could you unlock, at the same time Emotion meter, Slot Viewer, to view some selected data of Mindwave. The more I see,and harder to interpret, because at a glance you can't follow many. Or, You may open a second session of Emotion Meter, and use all its functions to analyze only one signal selected from the Mindwave. The advantage here is that you can see the derivative of the signal, and decide how to condition it. I agree with you that the sooner the better understand the operation of the new Emotion Meter, and only then expand the search to the Mindwave. In the future you could do everything, also use Theremino Automation to read slots, both Emotion Meter by Mindwave. And, always in Automation, write four lines to produce more results or actions to the future of certain conditions. But the Emotion Meter as it is now is already quite complete, do know that deserve. Don't worry I have already started to involve others. It is true that so is already complete and very interesting. I will try to explore its full potential that I think are many and responding to Maurice I assure you that if I have interesting information I will not fail to bring to your. Indeed I could already start with the test I did with the version 2, but instead of cans I cut two strips of Tin of about 1 and a half centimeter wide by 6 in length. Supported the index finger in a and the middle in the other, the same hand, I had the same results of cans, just that the pressure reading was almost undone, but the rest as the deep breath, the movement of the upper arm or legs or moving of the head were all “beds” and of course remembering times of particular stress, as of when I did my first roller coaster ride, or when I took some punch in a’ Tay boxing workout, E- meter, with a certain amazement, recorded a change in resistance. Of course is just the beginning, sounds good though. Obviously seen that the original has the cans use them too, but definitely not only omit the possibility of “customize it”, If I pass the word. Meanwhile, thank you and greet. If you want to publish your research would be best done on the form Theremino, you find on the site Elettroamici. On that forum start discussions (topics), publish images, and also write whole articles. Begins to register and start a topic on the forum. Afterwards, If you'll need it, Amilcare administrator will explain how to edit the articles and insert images and files. I'm glad to know that you have some interesting readings with the emotion meter. The fact that you can disengage from cans, and the side effect of reading the hands hold, I find it great, is another big improvement over the original instrument. I agree with the Board of Livius to continue dealing with this search on Elettroamici. The program is complete and I think it won't be long before it needs uklteriori adjustment, now it's time to use it. Let us know when you signed, and we begin a specific discussion in the forum. Hi yesterday I looked at the site but to register it takes the mail and I don't have. From ” profane” wonder if it's just mandatory, If the files here’ . Let me know thanks. I ask Amilcare (the site administrator) and I'll let you know. I asked and Amilcare explained. Since at that site you can also write articles you need to identify yourself in any way. So when you reconnect the day after you can find all your stuff (articles under construction, images etc..). There are only two ways to identify, or use your identity tied to a social, Facebook, Twitter etc… Or use an e-mail address. If you don't want to give out your address or if you haven't, You can easily make one on purpose. Go on GoogleMails or on free and in five minutes you the address. For now maybe write an article, but you'd do well to open a discussion with a specific topic. Or it could start Maurizio. No matter who starts, will become the clearing house for ideas and experiments on the subject and we can all contribute. Measuring a voltage (referring to the mass of the Master, then not isolated from it) It is quite easy. It will suffice two resistors that form the voltage divider (values ​​around 10..100kohm). The divider must be calculated to lower the voltage to be measured in the range accepted by the Master inputs (or volts from up to 3.3 volts). So if the voltage to be measured for example, was 5 volts, You would use a 15k resistor between SIGNAL and GND, and a resistor 10 k between SIGNAL and the voltage to be measured. In this way you can measure voltages between zero and 5.5 volts (leaving some’ by more than the margin 5 volts). The Master will set the Pin as Adc16 and get numbers ranging from about zero (with zero voltage) about 1000 (with voltage 5.5 volts). In the software you simply multiply this number by 5.5 to obtain the voltage in millivolts. Then wanting, you divide this number by a thousand and obtain the voltage in volts. The achievable accuracy without calibration will be around one per thousand, so five more or less millivolts. If this accuracy was not enough you could add a sum ratio (to calibrate the zero) and one multiplicative (to calibrate the five volts). Salve, is already a bit of time that will follow and in part the compliments for the beautiful work you are doing, I have a question to ask yourself about the functioning of’ CNC application. I have built, after various tests a CNC, a laser do-it-yourself than a set of parts of a scanner and a printer and the use I make is just fine. 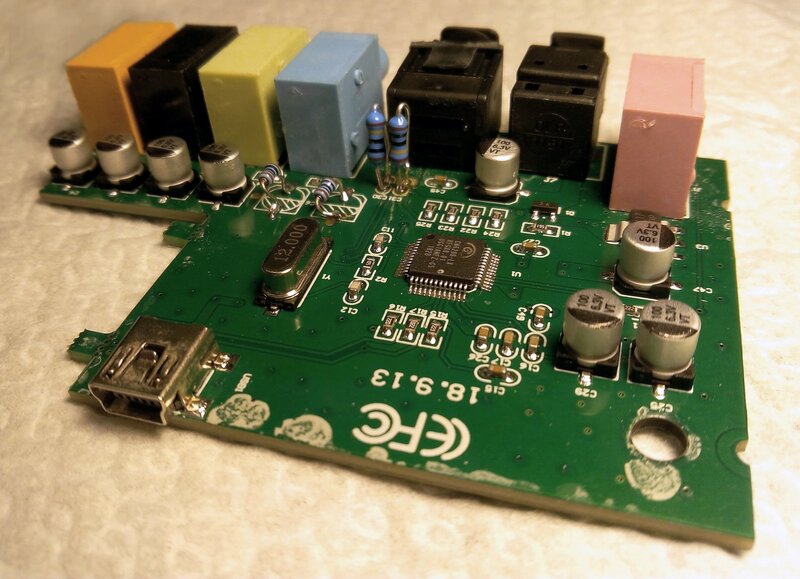 The electronic part consists of a Master DIL v5, una CNC shield 3.0 and a Chinese laser module from about 2 watts with its controller. However all this hodgepodge of stuff works, I was able to drive the laser shutdowns using pin on / off of the LM2576 which mounts the laser controller and control the power with the always of the same analog input. All this seemed to work, ONE DAY few ago I upgraded both the CNC application is the HALL and SlotViewer to the latest versions and there's something not quite right, or by SlotViewer I can do the on / off and adjust the laser power, but when I try to actually run a file from CNC gcode the M03 and M05 commands do not seem to work anymore (They should turn on and turn off the laser if I'm not mistaken ), just part of the code, even the simplest, how to print a few square, the laser is switched on immediately, and when he has to move remains lit., despite the commands M03 M05, finished the program turns off. The pin configuration is as follows, apart from engines, PIN 9 Dig_out slot 11( with min and max values ​​reversed, since the 2576 with value 0 where è), PIN 10 Pwm_fast Slot 12. I'm a little confused because before this I did some tests and everything seemed okay. Now is not that it does not work, because sopperisco modifying the gcode using the S command to turn off and turn on the laser, but first with Feed & Speed ​​locked switched seemed to work and I was returning convenient for the fact that inserivo, based on what they where doing, lo Speed (RPM) hand throughout the Code and M03 and M05 had operated for on / off.Se can you give me some explanation about would be grateful. We checked, the M03 and M05 act on Slot 13 (not on 12 come Speed), and they are independent from the Speed ​​value. Even in older versions this was the behavior, and it corresponds to what is written in the instructions on page 43 (Appendix 9 – Slots input and output). So to use M03 and M05 you will need to use the Slot 13. If you just need, you mix the signals of slot 12 and 13, or with a hardware circuit. Hello everyone, Theremino I discovered recently and I found it simply unbelievable for what promises, although I have not read everything and men who tried less. For sure, if I have to do something, I need help because of my age, I am not as well versed in computer and digital technologies. To start, I need a help from Livio. I apologize in advance if you will ask some of my trivial. I would like to frequency response measurements in the environment on my home hifi systems. I downloaded from the website version Theremino 3 DAA, and I installed it on a desktop computer with Windows 10. It works, I have yet to understand a little’ all commands but still works, if I do the Sweep hear from the external speakers of the PC and register the curve with a simple microphone connected to the MIC input of the soundcard. Now, thinking instead of measuring the response of one of the systems HIFI, I feel that I have to connect the output of the PC sound card to LINE system HIFI, and connect a microphone to the LINE decent sound card of the PC. Quite right? The fact is however that the whole is quite cumbersome, so I thought installing the DAA on an Ultrabook that I own, great although a bit’ dated, the Toshiba Portege Z830-10F, which runs on Windows 7. I conclude that the MIC input is anything but "clean", but heavily treated digitally then non-linear, etc etc. I'd feel safer with an external sound card, but I would avoid the cards 1 EUR as those listed here, I expect that at that price the quality is low, and then the linearity safely go to hell, today is a little pump’ all, bass and treble to make an impression. I would also avoid the various boards with nonsense like 7.1 channels and so on and so forth. How do you tell the DAA that the input signal must take them from the USB port and not the sound card? Perhaps automatically it recognizes if there is anything connected to the USB port? Once I note the frequency response in the room, how do I know the real values? In truth this is not very important, mostly what matters is the trend line. But in the future I might be interested in efficiency measures. We'll see. The screen is a bit’ small, It is fixed or you can expand? anyway congratulations, it is a bit’ I was looking for a similar software, and this seems appropriate. 1) The MIC input has the same quality as that LINE. If you look at the patterns, the difference is only a resistive divider with a different value of division. 3) For frequency response measurements stereo input does not need, and in any case not the DAA would use it. 4) Do not buy expensive cards. The quality of the frequency response of the coupons by three euro is exactly the same. There might be a little difference, but the background noise, for frequency response measurements, the sound card is always very low and does not count. Rather it takes a good microphone and, if the signals are low, must be pre-amplified and low noise. 5) All sound cards, expensive or not expensive, have the passband just limited to the above 20 kHz. Unable to measures up to 100 kHz, unless there are cards that do not know. And sure it does not tell you that in the characteristics because, even if the ADC card could get there, then the Windows driver limits the band with a digital filter to 22kHz. The DAA is up to 100 kHz but I never found a board that can do it. Do not get groped by those expensive, do not even over them because the signals 20 kHz are useless, and do only damage. It would take just to make measurements on amplifiers (without speakers and microphone). 5) The cards are not equalized for “make an impression”, I have to correct the small internal speakers of notebook, but usually just enter the jack which excludes the internal speakers disables the equalizer alone. If you do disable visit “Playback / Speakers / Improvements / Disable all purposes”. 6) If you connect a sound card to the USB Audio / Audio Playback and / Register panels appear two new speakers and microphone. And the DAA will present two new devices in the top lists. 7) The actual values ​​are not knowable, less than calibrated reference with other equipment and then not move anything in the recording levels and listening. 8) The DAA panel is designed to look like an oscilloscope and can not be changed. Livio, Thank you very much. When I get the measurement microphone will try everything, then if I need I do suffer. We are going to publish the version 4.0 the DAA with larger display. – A precise adjustment of the tensions that allows measuring as a tester. 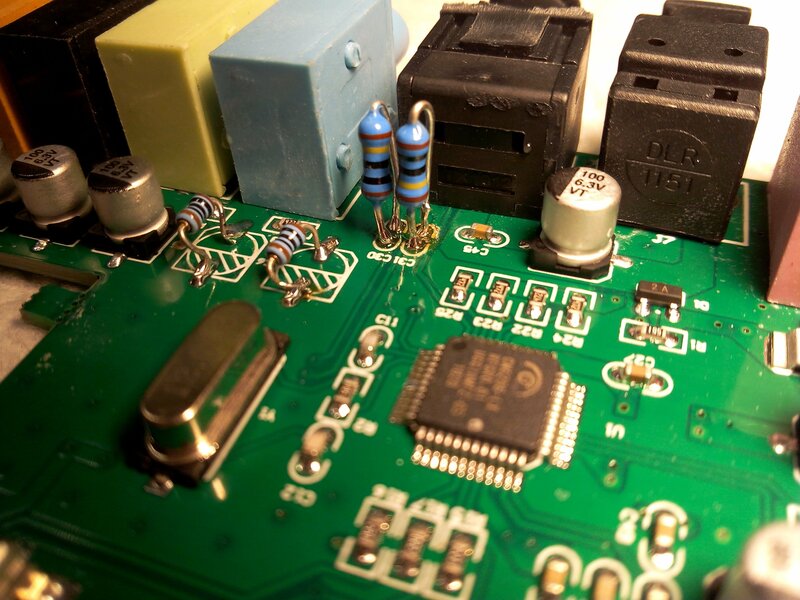 – Ability to make precise DC measurements, with a USB sound card that costs less than ten euro. – It only takes four common resistors, non-precision, and a minor modification, that is done in two minutes, you get two input channels and two output, all coupled in continuous. – You get an input impedance from 1 mega ohm (as oscilloscopes) and the ability to measure voltages up to +/-100 V (with respect to ground). If they could save measurements at regular intervals of time, it would also be a powerful data logger (old preserved sound cards I would have several!). It will be possible to read the voltage with any sound card or select models? What do you mean as measures? VPP, DB, Frequency, etc ? And’ a good idea, thanks have thought. You could always save (100 times per second) a series of values ​​in the Slot. For example Slot1 = Vpp, Slot2 = dB, Slot3 = Hz, And so on. Not all sound cards have the stereo input and not all are easily editable to get inputs and outputs in DC. We advise the cards using the chip CM6206. They cost less than ten euro, They are easily found on eBay, and are incredibly stable. Only a few millivolts of drift from cold to hot. Without this change will have inputs and outputs in the measurements will be continuous but still quite approximate. With the 4.x version of the DAA it can easily calibrate the zero and the scale factor and make very precise measurements (accuracy to within a few millivolts and +/- 0.1 DB). Maybe in a few days we will publish a link to download a temporary version, still flawed, and without documentation, but already usable. and using the slots actually the spectrum of possibilities would be even wider! Thanks for all the information! The changes are simple, and I should already have one of the listed cards, I had bought to experiment with PMT adapter (but I think it will take at least another). You may, for pleasure, make a measurement on your ticket and possibly the others you will reach you? We'd need to know if all have the same bias voltage, because the DataSheet says it should be 2.25 volts, while all the cards we tested have the polarization 1.36 volts. – Make the changes indicated, or at least change the two output electrolytic with two resistors 100 ohm resistor. – Do not send signals to the card, then hold off the DAA and any other possible audio source that goes to its release. – Use a digital multimeter on a more continuous low. Probably 2 volts. – Slide a jack in the FRONT-OUT connector and measure the voltage between ground and each of the two outputs. The same bias voltage, which reads on these two outputs, there should also be on the two LINE-IN inputs. But these inputs have a high impedance, and resistors from 1 mega ohms that we add the rise again. So if the polarization that you read about FRONT-OUT 1.36 volts, when measuring the LINE-IN should be measured approximately 1.24 volts (if the tester has a normal impedance 10 mega ohm). If necessary, write us an email to engineering@theremino.com so if we have something urgent to tell you you can write. Problem in Windows 10, error 5 prompt in following a request to become administrator, reinstalled the OS officer diskette, the problem remains. We take care of input-output for Windows, not Windows itself. We will however try to help you but you have not written anything understandable. – Error 5 the prompt? which prompt? – Because request to become administrator? – You're launching one of our applications? – What application are you throwing? – If you become a non-administrator does not work? It is only at enormous problems not solvable with normal operations. I think the case did not come to this and prior explain what you're trying to do and what it does not work. I'm sorry, I've never done so strange operations. I've always used or Tablet PC running normally installed (not from a USB stick). I suggest you search the internet.